The Algerian Tanezrouft ('Land of Terror') Basin is a classic area of geopathological geomorphology. Any part of it produces stunning images. 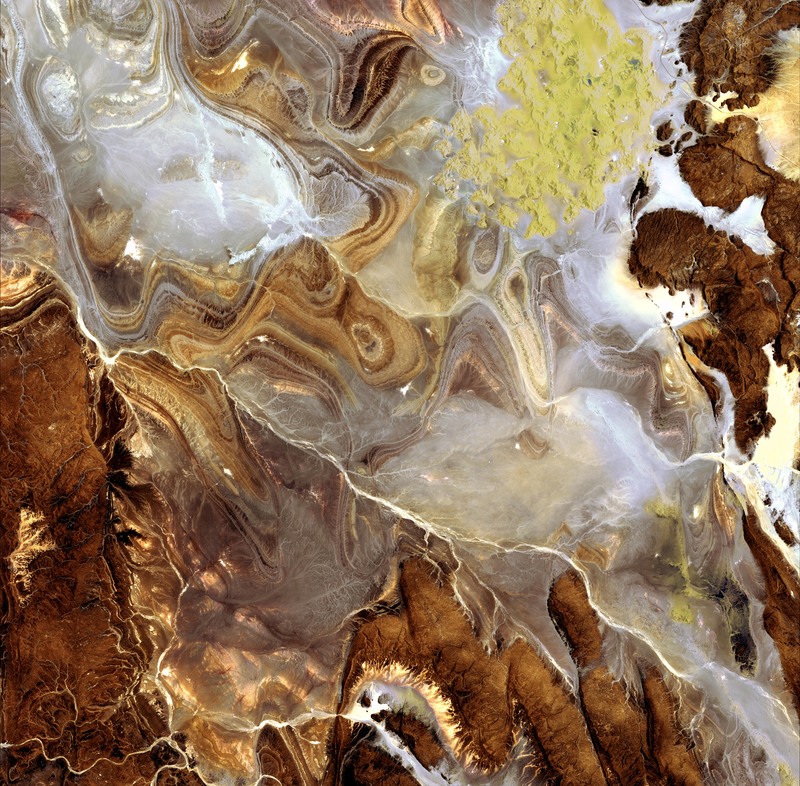 Japan's ALOS remote image looks like modern art. Deflation by the wind exposes these shallow periclinal synclinal basins in Palaeozoic rocks. The flashearth image, a good place to start exploring this wonderful place is here.